Whether you work in a warehouse, restaurant, or office, every workplace has its fair share of risks. From dangerous equipment like forklifts to communicable diseases, it’s incredibly important to know preventative techniques and common safety procedures. An injury or disease can set back work for weeks or even months and have lasting health concerns. The featured courses this week showcase a variety of common safety concerns in the workplace. They’ll show you how to prevent and react to those common dangers and stay happy and healthy! Food hygiene is probably the most important aspect of the food industry (besides how the food tastes) and one many workers don’t know a lot about. Proper food hygiene is integral to preventing disease and keeping customers happy. In this course, learn about every aspect of food hygiene, from cleaning the food and preventing germs to the proper cooking temperature. As well, you’ll learn about the four C’s of food hygiene—clean, cook, chill, and cross contamination. In just one hour, you’ll be able to avoid unsafe practices in any food and beverage establishment and keep yourself and your customers healthy! Do you work with ladders or scaffolding? Are you ever working from the top of a roof or forklift? You should be aware of fall protection and fall safety. 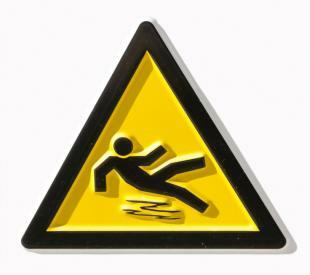 Falls are the leading cause of construction related fatalities, causing nearly 500 deaths every year. In this course, learn how to protect yourself from falls, no matter where you work! This course will help you stay safe underneath OSHA certifications and understand protective equipment and procedures that will ensure that you never fall. In less than two hours, you can insure your own safety as well as the safety of everyone around you. Forklifts can be irreplaceable tools in warehouses and construction, but they present quite a few dangers as well. Knowing how to drive and operate a forklift safely can save lives and make your job exponentially easier. If you work with or around forklifts, then this course is for you! Learn how to inspect, operate, maintain, and refuel your forklift, in addition to lifting employees, modifying the forklift, attaching specialized units, and more. After taking this one hour course, you will know how to safely work with and around forklifts, and be a safer and more productive worker as a result.